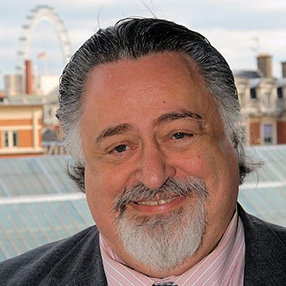 A friend of mine just said, “There are so many many things I want to see in London right now,” and that’s likely to be true right through the summer and beyond, though many of them won’t be in the dead center of the West End, where the “same old, same old” shows continue to draw in the tourists. 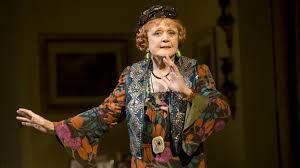 There’s nothing wrong with seeing Mama Mia or Les Mis for the first time or even yet again, and there are revivals one would expect, like Blithe Spirit to show off the undoubted and wonderful talents of Angela Lansbury—the most iconic performer in London at the moment. However, there are some very interesting brave arrivals which I want to see, starting especially with a new production of the Gershwin opera, Porgy and Bess, at the Regent’s Park Theatre (17 July to 23 August). 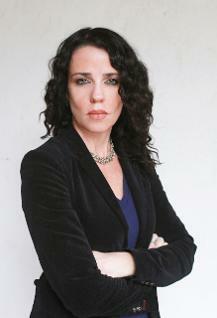 Timothy Sheader, Regent Park’s Artistic Director will direct, and that surely bodes well. His recent take on Arthur Miller’s All My Sons was a hit, and he’s also done some terrific new productions of major musicals in the past few years that benefited from his great eye and ear for casting. This time, he’s drawing on talent from both sides of the Atlantic; Rufus Bonds, Jr. and Nicola Hughes take the title roles. I’ve been deeply impressed by Nicola Hughes in shows ranging from Lola in Damn Yankees (with Jerry Lewis), to Velma Kelly in Chicago, through one of the company in Fosse, and I expect her to be a definitive Bess. 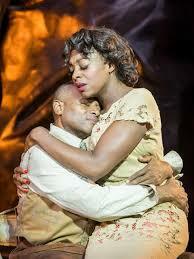 During her last time around in the role (2006-07) she was nominated for an Olivier Award. And if you ‘re a Miller fan, there is a new production of The Crucible on at the Old Vic (24 June to 13 September). Yaël Farber is the director. I’ve been following her work for about ten years and she’s emerged as one of the most innovative, sensitive and totally reliable directors of our time. She’s always had a strong political interest and The Crucible, with its implications of and parallels to political witch hunting in our own times, is a perfect vehicle for her considerable talents. How many remember her play Amajuba (2007 Drama Desk award)? Or her recent Edinburgh Festival Awards winner Miss Julie (2012)? Farber is, for me, the draw for this one. Another heads-up: Kristin Scott Thomas will be following The Crucible into that theatre with Electra in a new version by Frank McGuinness (20 September to 20 December). 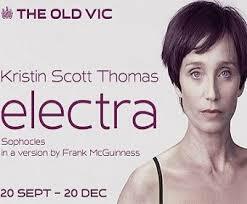 I would go see Kristin Scott Thomas reading the proverbial phone book! Director Nadia Fall, who is beginning to make a name for herself at the National Theatre, was in charge of the Harold Brighouse play Hobson’s Choice, rarely seen these days (played in Regent’s Park from 12 June to 12 July). With Mark Benton as Hobson, this was a real treat too. Let’s hope the weather holds for this summer’s open air events—the operas in Holland Park, but most especially Shakespeares’s Globe Theatre which has a very interesting season this year. The highlight for me so far was Antony and Cleopatra with the ever-wonderful Eve Best as Egypt’s fascinating queen and Clive Wood, who is one of the most memorable, powerful and intelligent Shakespeare actors in the UK, as Antony. 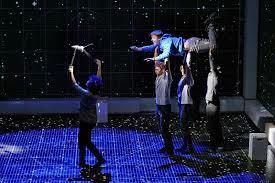 The highly recommendable National Theatre Production of The Curious Incident of the Dog in the Night Time is reopening July 21 at the Gielgud Theatre. Hugely successful and award-winning, this is the play where the roof literally fell in on its audience at the Apollo in Shaftesbury Avenue not so long ago. It’s a very strong translation of the Mark Haddon novel to the stage with a uniformly praiseworthy cast and a thought-provoking and emotionally moving story. An old musical being given a new look is Richard Adler and Jerry Ross’s The Pajama Game. Already critically acclaimed during its run in Chichester, it’s directed by Richard Eyre, known for doing a fine line in musical comedy (his was the famous Guys and Dolls at the National Theatre and beyond!). 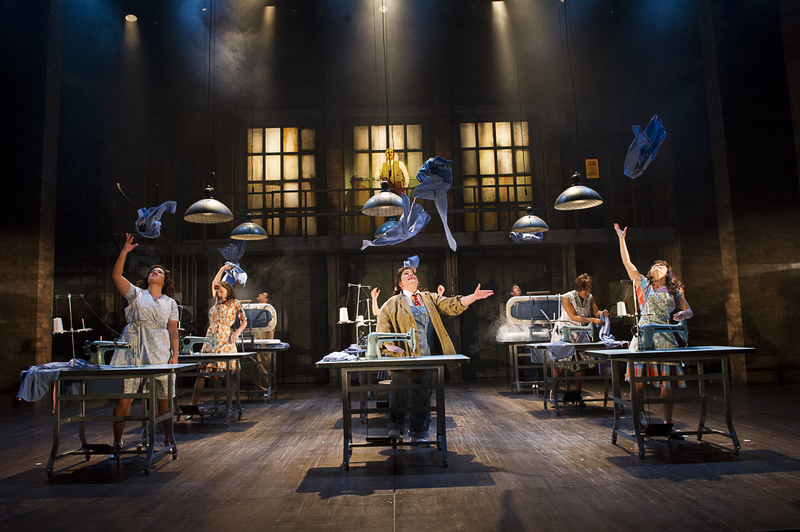 In an age of austerity and various financial problems, this musical about a strike in a pajama factory (from a novel by Richard Bissell, Seven and a Half Cents) as well as the nefarious dealings of a corrupt management is topical again. With a brilliant score that makes it one of the best musicals of the golden era of the 1950s on Broadway, I’m excited about it because it also stars Joanna Riding, one of the most consistently brilliant West End musicals performers (she was a superb Julie in Carousel and a totally convincing Eliza in My Fair Lady). With things like The Scottsboro Boys transferring to the Garrick Theatre in the West End in October and a full, interesting season for the ROH and the ENO plus the usual range of world class concerts, there’s plenty of culture coming up on offer in London. And then there’s all the amazing stuff in Edinburgh for the Festival, and all around the UK. So go online, but don’t get a horse – get a car! of the Cote d’Azur, where you pick our way toward the Mediterranean while looking around to see who’s in the water. No. This summer’s tale plays out on the lesser-known and everyday Atlantic, near La Rochelle. It’s cool, in every sense of the word. 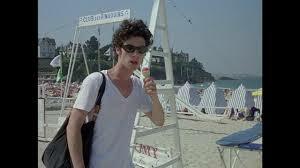 The film’s crisp, restrained palette of rocks, sun and sand, the middle-class ambiance of the beach and the pale bodies of its citizens are rendered as an alternative to the heat of the Riviera. And what a relief! 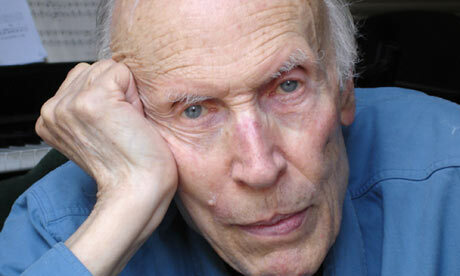 Rohmer himself is a relief, too. We have missed his adolescents talking out their problems on long walks, or over the ubiquitous red wine that lubricates their opinions. It’s always about relationships–monogamy or the thrill of the chase and the unknown–talk is life to his self-obsessed young adults. What makes Rohmer so special is his fondness for the angst that never dies, expressed with eloquence and reticence. And how, in his young, heartfelt protestations of probity are delivered so that the audience is in on the joke and the layers of denial and emotional need that frame every conversation. A Summer’s Tale begins simply enough, with Gaspard (Melville Poupaud) arriving on the beach looking for his girlfriend Lena (Arélea Nolen) who is traveling to meet him. But she’s still in transit. Soon Gaspard is deep in conversation with Margot (Amanda Langlet), a charming waitress/graduate student, about his relationship. And–what do you know–the waitress professes friendship, and suggests he meet Solène (Gwenaëlle Simon), a friend of hers who might be just right for him while he waits. No sooner has he begun to explore the possibilities of Solène’s “rightness,” then his capricious girlfriend shows up to tantalize–just as the waitress decides that perhaps Platonic might not be the way to go. consistent, and just as we wonder exactly how Gaspard will extract himself from what has become an embarrassment of riches, he finds a solution. Won’t give it away, but it’s worth waiting for and drew appreciative, knowing laughter from the sophisticated crowd. Definitely the right movie for right now. Look for A Summer’s Tale and thank Big World Pictures for bringing it back. Compared to the scale of last year’s political turmoil https://apollosgirl.wordpress.com/?s=human+rights+watch, 2014 offered a different aesthetic: small-scale, tightly focused, and intense. Often quieter. But no less affecting. 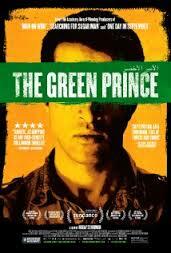 One of the most powerful choices was the Sundance Audience Award-winner, The Green Prince, directed by Nadav Schirman. Siddharth (Director: Richie Mehta) is narrative fiction, generated by the reality of child trafficking that forms a horrific bridge between the haves and have-nots in the Third World. Needing extra money to subsist, a father “sells” his adolescent son through a relative to work in a distant factory, rationalizing the arrangement as a necessity, but only temporary. 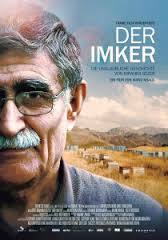 Another gentle and understated story—of a Kurdish beekeeper (Ibrahim Gezer)who has been granted asylum in Switzerland. Only gradually does he reveal to his new friends the horrors that led him to flee Turkey (his entire family was killed), and find the strength to take up his old profession despite the Swiss laws—generating a hilarious sequence of the absolute and well-meaning correctness of Swiss bureucracy versus the beekeeper’s real need. The bees are his salvation, and he will pass his knowledge on to the next generation. But The Beekeeper, without a domestic distribution, will remain unseen in America. Always a pulsing grab-bag of unexpected goodies, the current Latinbeat scores with two debuts: Casa Grande (Director: Fellipe Barbosa) is an unsparing coming-of-age story that offers one of the most arresting (and original) opening sequences in cinema history. Forget that car on the road going endlessly toward the horizon! Casa Grande’s beginning tells you everything you need to know about one of the essential players (the father): his conflicts, goals, and the house he has acquired for his family that is a source of pride for him, and a burden for his rebellious son. It is dusk; he paddles in his Jacuzzi, cools off in his pool, dons his expensive terrycloth bathrobe and heads across the patio to his house. He switches off the music that we mistook for a background score, then methodically turns out the lights that blaze through the windows as he climbs from the entry to his bedroom. The house is comfortable and welcoming, and will turn out to be built on sand. The economic and social issues that plague modern Brazil are navigated well and imaginatively here, without short-changing any of the human drama, or the seriousness of what lies under the surface of suburb and favella. Barbosa keeps all the complex threads in motion so we can see the fabric of society unraveling without requiring explanation. It’s what movies can do in the right hands. 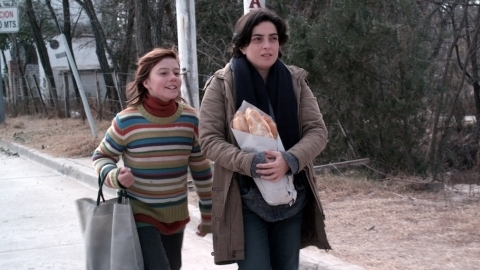 And now for another understated gem that simply sneaks up on you: Natural Sciences (Director: Matías Lucchesi) and yes, another example of how to tell a story by making the camera dialogue’s equal partner. The story is simple—a young girl’s obsessive quest to find the father she has never known—and, at 77 minutes, brief. But every second counts. 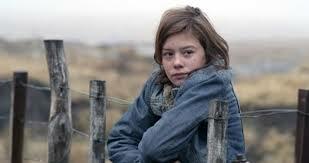 At its center, and its alpha/omega, is (the then) 11-year-old Paula Hertzog, co-winner of Best Actress Award at the Guadalajara Film Festival. More, Natural Sciences also won Best Film and Best Screenplay there, then went to Berlin and walked off with its Generation Kplus Grand Prix. But you know, it’s not about the statuettes and crystal plaques; it’s about what happens on the screen and how you feel about it. The old saw about not appearing with child actors does not apply here. As spectacular as Hertzog is, and will be (the camera really, really loves her! ), the ballast is shared with her co-star, Paola Barrientos, who (while never stealing a scene) manages to provide a compelling and beautifully nuanced portrait of a teacher who recognizes her pupil’s gifts and is determined to help her find herself, whatever the cost. You might call it a buddy movie, or a road movie, but it’s just a movie that will stay in your mind for a very long time. You will probably cry, too, but you will be happy.